Thank you CTFO for these incredible products. I really don’t like posting pictures of myself but I have to share this!!! All from this little bottle!!! For as long as I can remember, changes in the weather and seasons have always given me tremendous headaches. (I guess my head is like a barometer. LOL). Often I would wake up in the morning in pain that would last all day, and no over-the-counter remedies even made a dent in it. I am happy to say that since starting on the 500 mg CBD drops, I have not had any severe headaches. A couple of times I felt the pressure that precedes these headaches, but the actual headaches themselves never developed. Quality-of-life is definitely much better without sinus migraines! After 2 weeks on the 500mg Hemp Oil ~ Am I grateful the arthritis in my hands is gone? ~ YES!! Am I grateful I sleep better and mind fog has lifted? ~ YES!! I'm only a 52-year-old overweight male smoker who lives in a mile-high altitude. Turns out, that is the trifecta for emphysema (aka COPD). For the first 50 years of my life, I was a typical guy that felt invincible. In the last 2+ years, I have been humbled (and even humiliated in public) by my inability to get enough oxygen. I could NOT take a DEEP breath to save my life (so I felt literally). 2 WEEKS ~ THAT'S ALL ~ 2 WEEKS and now I drive and walk around for work and catch myself feeling AMAZED & BLESSED that I can take a deep breath TO MY LUNGS FULL CAPACITY. My name is A. Kyree, I'm from AL. but live in GA. I have 2 gorgeous teens (my 19 yr. old son Morgan lives in AL. & my 14 yr. old daughter Malyna who lives with me in Rome). 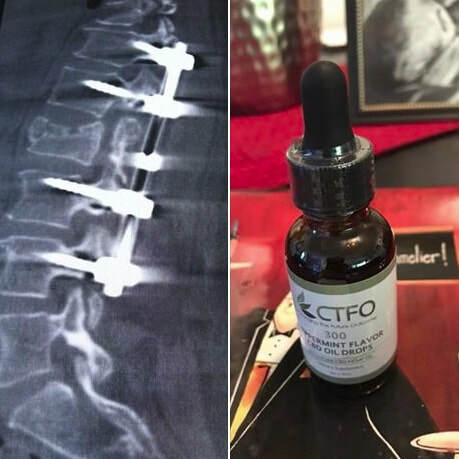 The reason I started CTFO CBD OIL is: I suffer from chronic pain, fibromyalgia, 5 fractures in my neck, high cholesterol, the occasional shakes, memory problems, anxiety, occasional suicidal thoughts, and manic depression, I had a stress related TBI in Afghanistan in 05, suffer from combat PTSD. Since 2011 I have had over 15 major surgeries which led to 5 heart attacks and dying 3 times in June 2012, recently had a partial nephrectomy of my right kidney due to RCC Cancer. I'm sleeping better, and my God & CTFO has saved my life... Thank you for helping my awesome crazy family!!! Working my new business from home, hair all thrown up, no make-up, gown on, phone & coffee in hand & LOVING IT...yup like I said.. My God & CTFO RoCkS!!!! So very Blessed A. Kyree. I am very satisfied with the results. Last night I ordered another months supply, but this time around I have upgraded and decided to purchase the 750mg bottle of CBD oil to see how it works. 1500 mg CTFO CBD oil & CBD oral sleep spray. I have epilepsy and my neuro Dr has not been able to find the right meds to completely stop my seizures. The type of epilepsy that i have, has a history of not being able to control the seizures. We have used a long list of meds that have not worked. The two meds that i am taking now are Keppra and Vimpat. Theses meds have slowed my seizures down, and most times when i do have a seizure its very mellow (known as simple partial seizure) but i was still having a tonic clonic just out of the blue every other month or so, depending on if i have clusters of simple partials..having clusters makes for a terrifying tonic clonic. And that results in a week of recover and the loss of my drivers license for a year. Anyway, a month ago i purchased the 1500 mg CBD OIL for chronic pain that im having, and my pain is not completely gone but its gone from a 10 to a 5 on the pain scale. And as for my seizures?? NONE not even a sign of one. Sometimes i will get the "warning" right before i have a seizure (if you dont know what that is, well its my body telling me im going to have a seizure AND this warning is the worst fear i have ever felt. ) but right after that i usually have a seizure but on rare occasions i will have the warning but the seizure does not come..i WAS having those allot. (My Neurologist says those episodes ARE actually another form of seizure) BUT back to the oil, i take 1/2 dropper 2 times a day for 30 days so far and im not having ANY seizure activity at all. God has blessed me with the CTFO company and products. I take 2 meds for my epilepsy, one is $40 copay and the other is $700 this is pr month. My oil is less than $100 AND works. Wow i find this amazing. Thank you CTFO. Oh and I also use sleep spray (I sleep 10 or more hrs a night now) and just ordered my pain cream with emu to use with my oil to control my pain. I'm a 52 1/2 year old lady, I had never had Anxiety and Depression issue until the past 6 months. I reluctantly did not want to label my symptoms that I was experiencing but it makes sense because I'm entering Menopause. Last week my husband asked me if I had taken my CBD oil? and I said no...He said "I think you need to take some"...and I did and I could tell immediately felt more level and not as agitated! If my husband had said that statement above before and if I would of been using pharmcical medication, I would of been mad but since I can use the CBD oil...I did not take affront because I know I am feeding my body something natural and beneficial for my health! 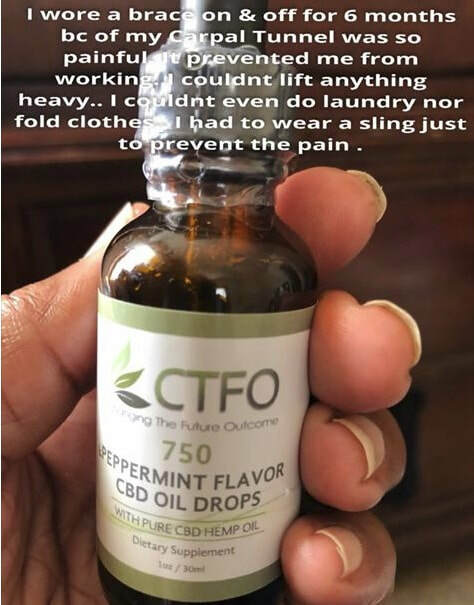 I been using CTFO CBD oil since the end of January and I have not had a migraine since using CTFO oil! Before January, I was using another company CBD oil and still having migraines daily! I'm very blessed to of found CTFO! Day 3 Testimonial- Plantar Fasciitis pain relief, body ache relief, improved mood. My bottle of 500 arrived 3 days ago today. With so much excitement I seriously feared I expected too much and I was going to be let down. I had much improvement with the plantar fasciitis I have been dealing with over the past year. My mood was vastly improved. I felt calm and clear headed. The next day I experienced some more improvement with my foot and again a better version of me mentally. Today I woke up with next to no pain in my foot and after my morning dose I am officially PAIN FREE!! No more limping and cringing every day. I didn’t realize how bad it was until it was gone. Still pinching myself to see if it is real. Hubby said he is not hurting either. We are both trades people so lots of aches and pains from repetitive physical labor . Two thumbs up  My hubby is one who doesn’t normally get relief from the things we have tried so this is huge!! We plan to order 3 bottles of the 750 next time. Feel free to share my testimonial. 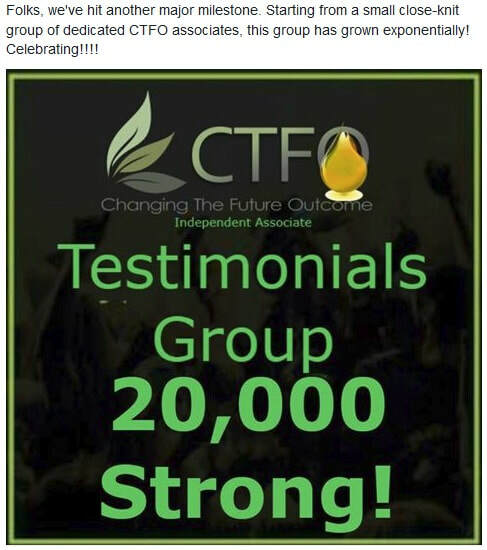 CTFO really is changing the future outcome!!! I'm sharing my personal testimonial regarding the Neck and Decolette Cream. 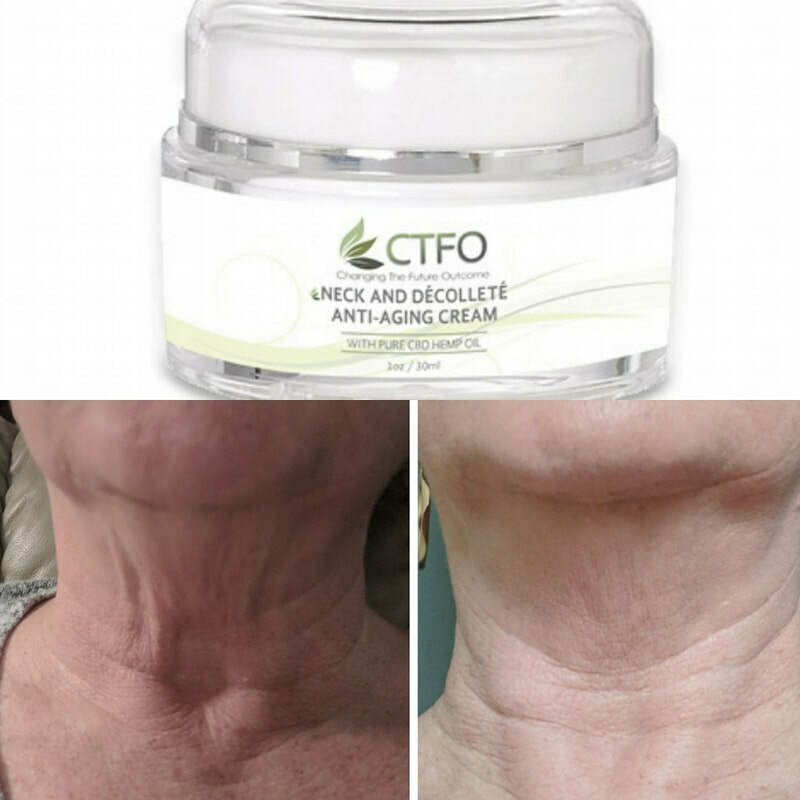 I had taken the picture on the left before I knew CTFO would have a cream for what I had begun to refer to as my "turkey neck." After I had used the cream for 5 days I took a picture for comparison. I took several pictures in different lighting because I didn't think 5 days would really show this much improvement. But it is real! I'm impressed and am continuing to use the cream! Thank you CTFO! Seizures, Migraines, Lupus, Fibromyalgia & other Autoimmune deficiencies. My 35 year old daughter had been plagued with multiple seizures for over 12 years and after taking the CTFO 750 mL 3x daily for 3 1/2 weeks she is now seizure free, no more inflammation and pain from the fibromyalgia and lupus, and the migraines are gone! This is an answer to prayer! This product is awesome! 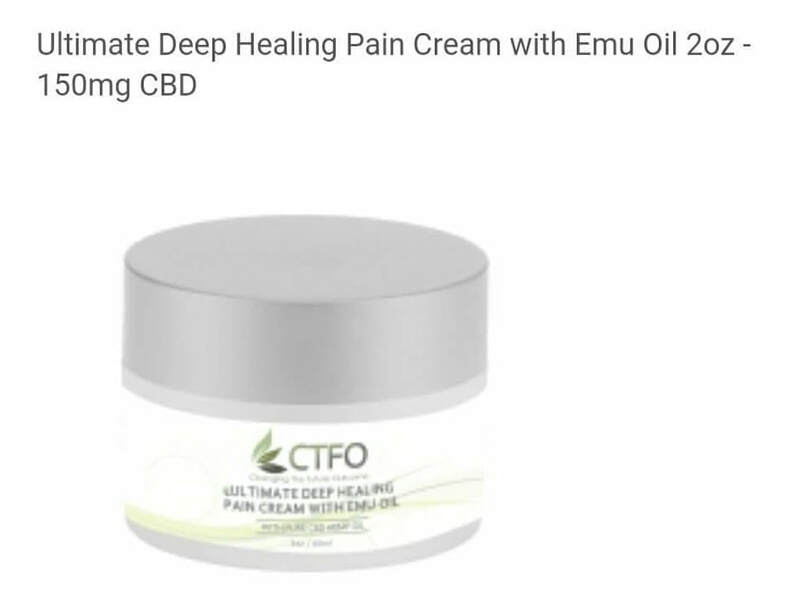 Ultimate Deep Healing Pain Cream with Emu Oil - 150mg CBD. I am in love with this cream! I suffer from severe fibromyalgia pain, that makes it hard for me to live life normally at the best of times, coupled with crippling chronic migraines. I am mother to 3 children ages 1, 2 & 9 and therefore giving in to the pain and staying in bed is not an option. I've never been one for pharmaceutical's as I have found they all turn me into a walking zombie. So for years I have just lived with the pain, pushing through no matter how hard it was. The other day my first shipment of this cream came in and let me tell you, I will never stop using it! The first day, was a bad day. I had just had a wisdom tooth removed and was in way more pain then normal, I used the cream the moment I opened the box on my lower back, shoulders, jaw, temples and my legs. Within 20 minutes of using the cream, my face no longer hurt from the dental surgery, the migraine that was starting faded away, my lower back felt a thousand times better and my legs no longer wanted to give out from under me. I was in awe to say the least! It's been 5 day of using this cream now and my life is changing for the better! I can play with my kids! I can go for walks again! I feel like I have taken back my life and I couldn't be happier! 3 week update after starting taking CFTO CBD oil and pain cream. I have Young Onset Parkinson’s and have tried several different CBD oils over the last 8 months and these are the highest quality and most cost efficient products available! They have helped me personally with tremors, pain and most of all insomnia! I use the creme on my legs before bed for RLS and cramps which is a side effect of the meds for Parkinson’s. Once again best products out there! Lupus and Rheumatoid Arthritis Relief – * Toothache* and opioid addiction prevention!!!!! I just wanted to reach out and let you know the CTFO CBD has saved me from an opioid addiction. I have lupus and rheumatoid arthritis. I was using Tylenol 3, percocets and hydromorph contin. 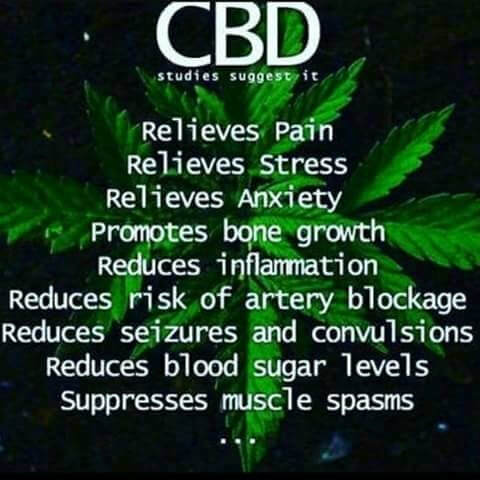 If you know anyone who is suffering... CBD is key to healing! I am now taking the CTFO 1500 mg and I am actually pain-free. I started the 1500 mg yesterday when the package came in the mail. I was in toothache pain with a chip off below the gumline, unable to eat much. I have also been having rotating mini-lupus flares while I'm titrating off of prednisone. Yesterday it was in my mouth because of the toothache causing extra inflammation, and in my right foot because I've been walking a lot. After 1/2 hour I was still in some deep throbbing pain in my mouth but very hungry. So, I took another 1/4 dropper full. Then I went on pot.tv at 4:20 yesterday and promptly forgot all about my toothache. By the time I ate dinner there was no toothache left. There was still pain if I chomped down though. I took one more 1/4 dropper at midnight and went to bed easily and didn't wake up until morning. This morning I had to remind myself to take my meds because I wasn't feeling any symptoms. I ate breakfast and brushed my teeth and swished a little 1500 mg around the offending tooth and let it sit in my mouth for a few minutes then swallowed it. My pain level at most today has been a slight 2. Usually it goes from at least 2-6. I took 3 - 1/4 droppers today. CBD is a bone stimulator and anti-bacterial as well as an analgesic anodyne, so it is a natural remedy for toothache. I don't even feel like I need to take any before bed. I am so relaxed already. I am so grateful for this medicine. My name is Tracey and this is my story. I have had type 2 diabetes for 4 years now. I was on metformin twice a day. I started taking this new 100% pure CTFO 1500mg CBD OIL 4 months ago and last week I got the go ahead to stop my medication from my Dr. So far my sugars are normal, my feet don't tingle and I feel great. Best thing I ever did was switch to CTFO CBD OILS. Hiatal Hernia & Gastroesophageal Reflux Disease. I have been suffering with severe symptoms for over 10 years. Nausea, vomiting, chest pain, difficulty swallowing, heartburn, difficulty sleeping, etc. I’ve seen several specialists, had multiple procedures and got little relief. I currently take 80mg of Nexium a day, recommended dose is 20mg to 40mg daily. I reluctantly started using CTFO CBD 3 weeks ago. It has been life changing for myself and family. I feel 80% better. I just ordered 750 vs the 500 I’ve been taking. For the first time in over 10 years I have went 3 weeks without vomiting. Previously was 10 days following an extremely strict diet. So I have been hesitant to write this, as I wanted to be sure the Lexapro was out of my system. I have been on it for at least 6 years. I was at max dosage of 20mg a day. It stopped working. It's the only serotonin re-uptake inhibitor (SRI) that does NOT cause weight gain. So I was not looking forward to switching meds and gaining weight! I knew it stopped working since I have PHYSICAL symptoms of anxiety - I break out in a rash on my chest. My symptoms of unmanaged PTSD is horrific nightmares of violent attacks (yes that's what caused it in the first place, thanks to my abusive ex husband). So the nightmares were back and the rash and the panicky feeling of not being able to breathe on occasion. Very little restful sleep = exhausted all day too. So I knew I needed to do something at my next doc visit, which is next week! So after a week it is safe to say I no longer have it in my system. I do have CTFO CBD Oil in my system, and folks...things are looking good! No nightmares - weird dreams, yes, but no nightmares of violent attacks. No active red rash - just spots from previous rash healing. Positives besides that? I feel rested, energized, happy, peaceful and I cannot wait to order a stronger bottle! Ive been using cbd oil (other brands) for 6 months. I’ve gotten some relief for anxiety but my pain has remained. I have severe leg pain that affects my sleep. Can't walk without severe pain. Trouble getting out of a chair without pain. I joined CTFO and just received my first bottle of 750mg oil. Started taking it Monday, 3 drops 3 times a day. Last night we went to dinner. I'm always embarrassed when we leave a place because when I get out of the chair, I’m hunched over like a 90 year old woman. Got ready to go and my wife stood there to help me up, like she always does, and, guess what??? I stood up with no help and NO PAIN!!!! I'm thinking, "What just happened?" Last night I slept all night without waking up in pain. This morning I have no pain. I even took the dogs for a walk. This is major! I've been in pain for two years!!!! I was beginning to think I was going to be like this forever. I"m amazed!! Hey for anyone who suffers from the dreadful sleeping problems, work night shift and can’t sleep during the day, look no further I have the hardest time falling asleep and staying asleep. I have taken sleeping pills, and you name it to try and get some proper much needed sleep. Well I received my order of the CBD Sleep Spray yesterday. I worked nights last night so I thought I would give it a go this morning. Guess what guys I slept from 8-3 without waking up once. Normally I get maybe a couple hours sleep.. I will be trying it again and will let you know the results again, but for now I am giving this an A+ for helping me!! I am on day 4 and all I can say is WOW! I have been dealing with severe depression and such low energy that I thought I might have narcolepsy. My energy levels are amazing right now - and I am getting stuff done. Will the energy level I am getting stay like this? I have tried so many different antidepressants over the last three years since to get out of this and nothing has worked until this. My doctors think the depression has been what is making me so lethargic all the time - and I already feel happiness again on this. It has been a long deep depression for me and I am just amazed that this seems to be pulling me out so quick!! I woke up with the most unusual feeling this morning. I was a bit confused at first. Then I realized for the first time in 5+ years I have NO PAIN!!!! No headache, No back pain (even though less than 3 weeks ago I had back surgery). I honestly had no pain at all. God is great! Idk how long it will last but I’m loving it! Now to remember No bending, lifting or twisting! ❤️ No pain meds this whole week only my CTFO CBD oil! I started taking this new 100% pure CTFO CBD OIL 1500 mg 4 months ago and last week I got the go ahead to stop my medication from my Dr.
Best thing I ever did was switch CBD OILS. Ok, I have been doing my own case study. 3 years ago, while working as a Flight Attendant, this happened. With a great PT group, I was able to recover and get back to my dream job. Fast forward to today: until starting with this amazing little bottle, I’d been waking up with severe back pain and nerve pain in my leg. Taking 4 ibuprophen with my coffee is how I’d start my day. I started the CTFO 300mg drops for anxiety - but one morning I thought, what the heck! I’ll just put a few extra drops in my hand and rub them in to the painful spots. WOW! Within a half hour.. I was not even thinking about the pain.. because it was not there! This is now my morning ritual, 20 drops under my tongue for anxiety and 6 drops rubbed into my back. I tested it fir 3 days to be sure it was because of the drops! I’m happy to say, I’m off those ugly little brown pills for good! Fibromyalgia, anxiety, inflammation, depression, chronic nausea'Hi everyone!!! This is my first post! I have had fibromyalgia for 23 years and have been in pain every day that whole time. I'm only 38, so I've been in pain since age 15. I have been on Tylenol, Tylenol 3, ibuprophen, percocts, morphine, natural remedies, tried chiropractic, massage therapy, physiotherapy, working out, etc. For my anxiety and depression , I've been taking 10mg of Cipralex cuz I used to be suicidal 10 years ago and thats all that I knew of that would help me. I've been nauseous for 5 years straight, I dont know why. All my tests always come back normal. I suspect it has to do with the fibro pain and anxiety because on the really bad pain days, the nausea was much worse. Chronic pain can steal joy, motivation, ambition, and just plain living life out of people. I HATE pain!! I don't want to see others in pain, and if I found something that works for me personally, I want to share it with others, believing that it could work for them too!! Fast forward to today, 2 weeks later...I've been taking 7 drops twice a day purely for budget reasons. I need to make the oil stretch longer than a month lol. -My depression...well I haven't felt depressed at all these last 4 weeks. I'm considering reducing my Cipralex to 5 mg after my upcoming trip. -My daily nausea is about 75% reduced. I can't say enough about this product, it has been amazing for me! Because I feel better, I have more patience with all my kids, which is very much needed because I homeschool them all by myself because im a single mom. My kids and I have been able to have more fun instead of them having to watch my cry and suffer and ask them for favours to help me constantly because I couldn't do everything myself. I have so much more energy now!! 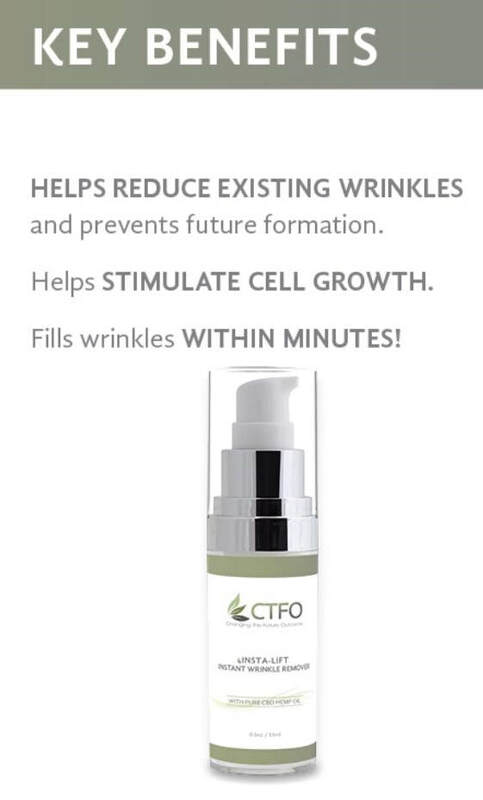 I recommend CTFO products to everyone. Their name is very fitting because they really are changing my future outcome! I have new hope for my future. That doctor that said I would be in a wheelchair by age 50 was wrong!!! This is my story. It's long but my journey has been longer. It's been in my drafts in progress for weeks. I have had fibromyalgia for over 26 years. I also suffered from depression, anxiety and migraines with aura for most of my life. And let's not forget insomnia which came along about 10 years ago. For my migraines, I have taken almost every prescription medication available through the years including Fiorinal with Codeine, Imitrex, Zomig, Demerol, Inderal, Tylenol 3, Cafergot, Maxalt & Naproxen to name a few. Preventative meds caused nasty side effects so that wasn't an option other than taking magnesium supplements. For my depression/anxiety, over the last 33 years, I have taken all of the following antidepressants. Changes to medications usually occurred due to side effects or being no longer effective: Prozac, Zoloft, Effexor, Cymbalta, Paxil, Celexa and Wellbutrin. The withdrawal symptoms were almost worse than being on the drugs. For my insomnia, I was prescribed Ativan, Ambien, Tramadol and Lorazepam, And finally, for my fibromyalgia symptoms, there was a correlation between the antidepressants and symptom relief however, for good measure, let's add some more drugs. I was given Lyrica then Gabapentin and eventually Naproxen. I was on Naproxen coupled with Extra Strength Tylenol for years before discovering CBD oil. In 2011, I had a car accident...hit from behind..car totaled. This caused a tear in my rotator cuff and required open shoulder surgery in 2013. Then, a tumour was discovered on my T8 vertebrae. 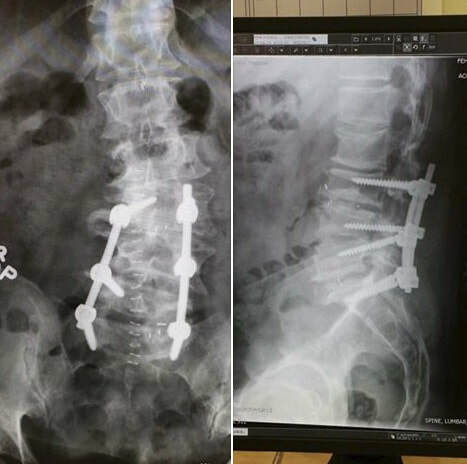 I had spinal surgery (a triple laminectomy of T7-T9) in November 2017....benign (thankfully)....6-12 month recovery. Still recovering. It was the WORST pain of my life....not exaggerating. Apparently, for those of us who have fibromyalgia, the pain is significantly worse as our nerve endings are always on "edge". When I discovered CBD oil, I weaned off 4 medications out of 5 within 30 days. It was incredible! And then a couple of months before my spinal surgery, I noticed that I wasn't getting the same relief. I needed to find a CBD oil with a higher potency & possibly better quality. Surgery caused a major setback. I was on Hydromorphone and then Tylenol 3 and back on Naproxen and Tylenol. I was also still on Wellbutrin. My doctor was supportive of me getting off these nasty drugs when I felt ready. I ordered the 1500 mg CBD oil and the Ultimate Deep Healing Pain Cream with Emu Oil. I was still taking a high dose of Naproxen daily and Wellbutrin. On the first day that I took the 1500 mg, my pain went from a 9 to a 6 in about 30 minutes. The constant pain in my back from the surgery made it difficult to fall asleep and stay asleep. The pain cream was applied to my back every night and it really helped me to not focus on the pain as much. I have now been taking the 1500 mg CBD oil for just over a month. I'm up to 10 drops 3 times a day. I still use the pain relief cream every night before bed. This is ALL I'm using for pain now. Mornings are bad. Wake up and the pain is an 8-9, Within 30 minutes, it drops to a 5-6 now after 10 drops. It's manageable and allows me to do my physio and focus on recovery. I hadn't had a migraine either until last week. I think it was weather related. I took an extra 10 drops once my aura started and I rubbed the pain relief cream on my temples and forehead. Within 30 minutes, the aura was gone and I was up about an hour after it had started with only a mild headache left. No nausea and no lethargy from the old Rx meds! My doctor can't believe that 3 months after my surgery, I'm doing as well as I am. He hasn't had to refill my prescriptions which was surprising to him. He was also pleased to see that I wasn't depressed considering my pain level and the fact that I have been house bound until very recently. Soon, I will be starting the long journey of weaning off my last Rx medication. Due to the half life of the antidepressants, I am extremely grateful that I now have CBD oil to help me counteract the side effects. I attribute my improvements to CTFO. Not only has it improved my HEALTH but it has dramatically increased my WEALTH. One of my biggest fears last year was being off work due to my chronic conditions and pending surgery. I sincerely believe that through the Law of Attraction and my daily meditation practice, that I was able to set things in motion that led me to these life changing products and this incredible opportunity. In a very short amount of time, I have created a business that allows me to earn more than I ever have in my corporate positions. I have an amazing team of people who motivate me every day to push myself. I get to work from home and no more sick days. They are all "me" days. I have finally found my passion and this is my story. I now get to share it knowing that I'm helping people change their lives too. I have been suspecting for a while now that my CTFO CBD oil has been helping to regulate my blood sugar. I am type 2 diabetic. My average blood sugar is 7.4 to 7.7. My doctor was good with that but I always tried to get it into the 6’s. If I ate anything I shouldn’t my blood would hit 12 or higher and still be over 8 the next morning. Well last night I tried a little experiment. I ate battered fish and fries for supper. A strict no-no for me. I checked my blood 3 hours later and it was 10.6. High but not as high as usual so I had a glass of Pepsi ( not sugar free but the real stuff. Lol ) That should put it over the top. This morning when I check my blood sugar I expected at least an 8 or higher. It was 6.4!!! Yes, my drops definitely worked. I take half a dropper of 750mg two times a day. I love my CTFO CBD. I just have to say, my husband and I are both loving the products, I am starting the 500mg and he is on his 2nd bottle of CTFO 750mg. I am a type 1 (insulin dependent) diabetic, I also have scoliosis that causes me to be in pain on a daily basis, and he is suffering from a neck/shoulder injury that happened back in 2011, we are both reaping the benefits of the cbd oil!!! We are so much happier and feeling so much better than what we were!!! 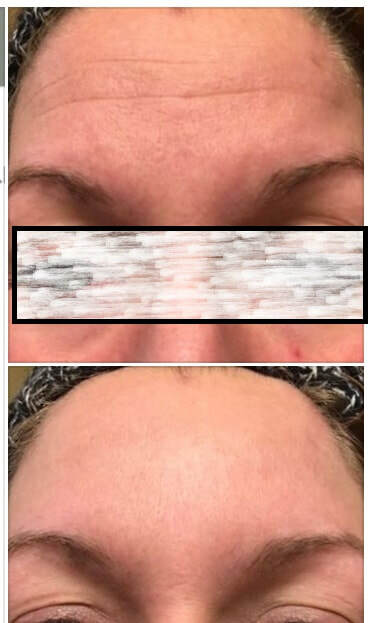 We’ve been using CTFO products for about 3 weeks and the results are amazing! Pain - I have a history of back issues and had severe sciatica pain that pops up from time to time. One morning I could barely walk while gripping the countertop. I used the Pain Relief spray and the pain was gone within minutes! Arthritis- My Mom has had arthritis for many years, and most days she’s ok. She fell a couple of months ago and has had pain in her shoulder that she couldn’t pick up her arm. I talked her into trying the spray and it worked! Anxiety - my husband suffers from significant anxiety. He uses the 500 CBD oil and the Anti Stress Spray. Within minutes of using the oil, he’s like a different person! Insomnia - since our daughter was born four years ago, I have slept like a cat. Every little sound wakes me up, and then I’m awake for at least a half hour. I’ve had many nights where I woke up at 2:30am and couldn’t get back to sleep. I tried the Sleep Support spray and had the first good night’s sleep in years. I even remembered a dream, which also hasn’t happened in years. Weight Loss - I’ve had an ongoing battle with losing weight for most of my life. The Weight Loss spray works great to curb my appetite so I’m not constantly looking for food. I’m finally on the right track. I’ll post an update later in the summer. Pain relief - I'm writing this testimonial for my 74 yr old dad because he doesn't have fb. He has been taking the CTFO CBD for only 3 days. 1500mg half a dropper twice a day. For back pain, hip pain, and knee pain. Just 3 days in and he says he is feeling so much better. He has arthritis, spinal stenosis and his knee is rubbing bone to bone. What an improvement. His pain level went from a 7-8 with pain pills down to a 3 with 1 less pain pill a day. Will updated when it's been 7days. Waiting on the cream to come for him to try just ordered it. Goal is less to minimal pharma meds. I am posting this on my wife’s Facebook account. My name is Dan and I’ve had severe knee pain going back to probably last summer. When it got really bad I went to go see an orthopedist and was diagnosed with chondrocalcinosis which is excessive calcium (pseudogout) and arthritis in both my knees. My left knee had to be drained 3 times this last year. The doctor prescribed Indocin which got the inflammation down, but I suffered from the side effects of the medication, mainly sleeplessness. I managed to survive on 800 mg Ibuprofen and a knee brace to get me through my working days, and lots of ice at night. About a month ago, we were at a farmers market and someone was selling CBD candies, I tried a sample and while walking around the farmers market, my knee pain lessened quite a bit. I went back and bought a bag of 10mg CBD candies. Upon getting home, my wife and I quickly did our research on CBD companies and we found CTFO. I was mostly impressed with the fact that CTFO uses 3rd party analysis of their CBD oil. I am sure there are some snake oil CBD oils out there and I wanted to make sure we were getting what we were paying for. I ordered the 1500 mg bottle. I am very happy to say I have not worn my knee brace in three weeks of taking 30mg in the AM and 30 mg in the PM. And the hip pain I have had which was associated with degenerative disc disease in my lumbar spine has pretty much gone away. Plus I sleep really really well at night and wake up feeling refreshed. 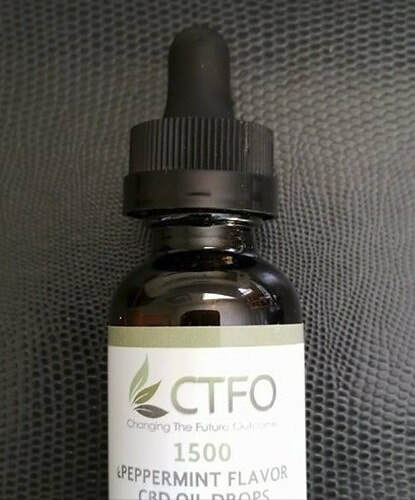 CTFO 1500 mg CBD oil has been a God send to me and I am thankful to Him that He les us to CTFO. I've had 3 back surgerys 2 steel rods, 6 screws and 2 wire Cage's in one year 2 year's ago, I still suffered with back and leg pain untell yesterday is the first time I tried CTFO 750mg CBD oil, I only took 3 drops under my tongue in the morning and went about my day not thinking about the oils, infact I had forgotten all about taking the oils until I went to get out of bed at night and realized I didn't have any pain in my back or my legs. It felt amazing!! First time in years I had no pain. Up until that night I really wasn't sold on CBD but after taking it just once and it took the pain away!! imagine how much it will help me by taking it every day!! I would recommend CBD to everyone, it has so many benefits it's unbelievable. For anyone that is hesitant message me or give me a call. Now to reduce the several pills I take 24 hrs to deal with the pain.... Wheen off I can't wait! Hello everyone! So I've been taking CTFO 500 CBD oil since late February. I've started my latest bottle of 750 on Sat the 7th of April. I've been feeling very good the past month or so with daily improvements. I've experienced overall relief from anxiety and stress. Its kind of like a veil was lifted. I don't think I really even realized that level of anxiety had been there, until it was gone. I had a gap of taking the next bottle of about 2 weeks. Amazingly my symptoms didn't resurface until about a day before I received my next bottle. I also now have no pain while sleeping, which would often wake me up. So my sleep is better. My joints have been more limber. I feel like I can sit and stand as well as move freely without tons of effort. The pain that I've had for several years went from 7-8 daily to about 1-2. Also my weight has been decreasing steadily. I decided to take full body measurements to chart my loss. So today was 6 days from my last measurements on Saturday. I am very pleased to say that I've lost 7 Inches in that time period. I am blown away. I can't wait to see/feel what comes next. Thanks to my mom for introducing this to me!! Thanks to CTFO for having a great product. CTFO is amazing!! I starting taking 10 drops daily under my tongue & I would rub the drops on my wrist.. The 1st week I didnt notice any difference.. The 2nd week I increased the drops to 20 drops under my tongue.. That week I notice my brace was irratating my wrist. Once I removed the brace I had no pain.. but I was too scared to keep it off.. This stuff works.. I am sooo grateful for this CTFO CBD Oil.. I can’t wait to try all of the products.. I thank God everyday!! U just don’t know how bad the pain was!!! Yes I said was!! Yaaaaas!! I have suffered with osteoarthritis and myofascial pain syndrome (MPS) for years. My doctor prescribes Naproxen and myfascial release therapy (MRT). The MRT helps me tremendously; however, the Naproxen not as much. Some days the flares would be so intense, that the medication wouldn’t even take the edge off. I started using CTFO CBD Oil (750mg) on 4/21/18 and haven’t had a pain pill since. I’ve still had some discomfort, but no pain and little stiffness. I have had Sarcoidosis of the lungs since my mid 20's. This is an autoimmune disease, and with this disease and the drugs my nerve system is bad. I have tried everything for the pain. With this Neuropathy, my feet were numb but I also had terrible pain, felt like fire and stabbing. My wife found CBD on line she is always trying to find something to lesson my pain. I have been taking CBD for a while now and am glad to announce that the numbness is mostly gone and the pain is to a much more tolerable level. My hope is continuing to take CBD will only make it better. I have the rotator cuff pain - 2 surgeries then a 3rd to try and fix what was done wrong, and now the shoulder is nearly destroyed. I had daily pain. Now little to no pain. My Grandfather who is 86 was electrocuted in his 30s. Electricity went thru his leg and out his eye. He is in excruciating pain and spends most of his days rocking back and forth in severe pain. He decided to try the CTFO 1500 mg as of last night. I spoke with him today on the phone and he said the spasms in his body are ceasing and he is elated in the cbd oil now. He was out of options and to his surprise he's getting relief he hasn't had in years!! Unbelievable!!! Rheumatoid Arthritis and Troubles sleeping. I suffer with RA and I am on 4 medications for the RA and Rheumatologist wanted me to start Humeria the last time I seen her.... I say NO, no way!! She wanted me to think about it. Well, a friend of mine told me about CBD oil and I thought I would give it a try, I'm glad she thought of me. I no longer wake up with the pain and stiffness like I did before starting the 750 MG. I have a follow up appointment with her next month. Also, I have troubles with the brain turning off when I go to bed at night as I am thinking of what has to be done the next day. I started the CTFO Sleep Spray last month and I tell you what..... it works, it relaxes me and I can fall asleep within 15 minutes and stay asleep all night unless mother nature calls ;). 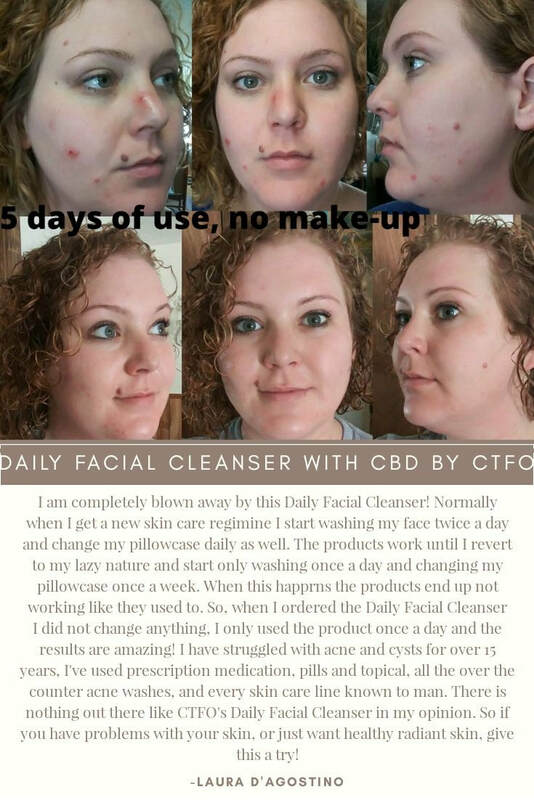 I am so glad that I was introduced to CTFO and their products. I am a product of the product. My name is Indya S I'm 26 years old. I have always had a hard time waking up in the morning. Ever since I was a kid I never wanted to get out of bed. I actually got this by accident. The CTFO Pure Hemp CBD Energy Blast & focus oral spray!!! I got this in the mail the other day and thought it was a sample from the company. I took it for 2 days and the first day I felt amazing I didn't need coffee to wake me up. I typically have 1-3 cups of coffee a day so it was starting to not wake me up anymore. I took the full 6 sprays and felt an awakeness I never knew existed. I brought this down to show my mom and it turns out she bought it for her self lol, but shipped it to my address. She saw how I loved it and went ahead and gave it to me. I have been taking this every day now and have cut coffee and creamer out of my diet and I have never felt better. I always felt like my knuckles were dragging on the floor in the mornings! I am more focused in the morning and it lasts all day. I don't start to get tired in the middle of the day anymore. I am able to go go.... I will be trying the CTFO Pure hemp CBD weight loss oral spray. I know all my mommy friends would love this. I will be getting it soon and talking about it. Thank you, CTFO! My 35 year old daughter had been plagued with multiple seizures for over 12 years and after taking the 750 mL 3x daily for 3 1/2 weeks she is now seizure free, no more inflammation and pain from the fibromyalgia and lupus, and the migraines are gone! This is an answer to prayer! This product is awesome! I have degenerative disc disease, arthritis, stenosis, and bulging discs in my back. I'm in pain constantly and I'm in pain management. I took 5 drops of the CTFO 500 mg CBD and in 10 minutes all pain was gone. I haven't been pain free in 20 years. What a wonderful feeling. Thank God for this product. I was awakened on Thursday night with severe tooth pain that radiated throughout my jawline. Unfortunately, I was scheduled to go out of town on Friday so I knew that I would not be able to see a dentist until Monday morning. I did some minor treatment (warm salt water, toothache medicine), and prayed that the pain would not get any worse during the day. Well, by the time it got to be 3:30 p.m., the tooth had started to abscess and my jaw was beginning to swell. The pain had returned and it was 10 x's worse than it was before. Upon my arrival back home at 11:30 p.m., I was doubled over, moaning, and calling on sweet baby Jesus. This pain was emergency room worthy! Right before I made up my mind to go to the ER around 2:30 a.m., a little birdie told me to grab my CBD oil and put a little bit on the abscessed tooth/gum line, and I rubbed some of the oil on my jaw. Within 10 minutes, the pain was 100% gone!!! I have not felt one bit of pain since and I slept like a new born baby! Oh, the swelling is going down as well!!! I absolutely LOVE my CBD oil!!! Since the end of January 2018, I have been using CBD  hemp oil 500mg, sleep support oral spray, ultimate deep healing cream with emu oil and now the pain relief oral spray. My main concern was easing my constant pain , getting a good night FULL SLEEP without waking up every 4 hours and staying up for the rest of the day feeling like I don't want to do anything and of course get relief from all the other everything I have been battling with for about 12 years. Well let me tell you, the CTFO 500mg CBD oil worked immediately for me! Literally within 20 minutes I felt so relaxed and my pain just started to go away!! After 4 weeks of using the products, I decided to order the 300 mg because my 9 year old son gets stomach aches and gets nauseous a lot. We've tried everything for his stomach issues, but they never seem to work. When he started complaining I decided to give it a try. About 15 minutes later, he looked at me, and said "Mom, my stomach doesn't hurt anymore". I was so happy to hear that it worked for him as it works for me. He slept throughout the night, and woke up in the morning for school nice and refreshed with a big smile on his face usually when he has the stomach issues we keep him home the next day from school. Not anymore!